The recent controversy involving two of Sussex County’s County Council members, Sam Wilson, and Vance Phillips over comments made during the grant and aid segment of the regular weekly meeting, in regards to a grant request from the Lower Sussex Branch NAACP Youth Council, has drawn attention to not only the views of the two councilmen, but also to discretionary spending in general. Of course the real controversy centers around whether or not the statements and view of Mr. Wilson and Mr. Phillips were racist in nature. The two decided to not give money to the Lower Sussex Branch NAACP Youth Council from their discretionary funds based on the fact that the “CP” in NAACP stands for “colored people”, and in their view made the organization a racist organization, since in their view, the NAACP only attended to the needs of colored people. The fact that both have granted money to this organization in the past begs the question, why now? The Sussex County Council has also in the past given to other Afro-centric groups, such as the Eastern Shore AFRAM Festival, of course it is possible that Mr. Wilson and Mr. Phillips may have thought that AFRAM stood for “American Farmers Riding Antique Machines”. This is but one of the reasons that discretionary spending is not a good idea, it leaves the spending of tax payers’ money up to the individual’s whim. A larger reason discretionary spending is a bad idea, is because of the things the money gets spent on. Many times the money is collected by the county only to be given back to towns and municipalities. Much the same way the federal government takes money from the states and then sends it back with strings attached. And if that is not bad enough, the numerous private organizations and charities, that the council inflates its own ego with, by donating tax dollars, is beyond counting. The following are but a few that caught my eye, check out the records of the County Council, I am sure you will also find some to make you laugh, and make you angry. It may be time to end all discretionary spending at all levels of government. It may be time to insist that all spending be subject to the legislative process. Jan. 4, 2011 A Motion was made by Mr. Cole, seconded by Mrs. Deaver, to give $1,000.00 ($200.00 from each Community Grant Account) to the Dr. Martin Luther King, Jr. Organization for celebration events. Jan. 4, 2011 A Motion was made by Mr. Wilson, seconded by Mr. Cole, to give $500.00 from Mr. Wilson’s Community Grant Account to the Bridgeville Community Action Agency for food baskets for needy families. Jan. 4, 2011 A Motion was made by Mrs. Deaver, seconded by Mr. Cole, to give $500.00 ($300.00 from Mr. Cole’s Community Grant Account, $100.00 from Mr. Vincent’s Community Grant Account, and $100.00 from Mrs. Deaver’s Community Grant Account) to the Delaware Blue Hens 16U Baseball Team for tournament costs. Aug. 12, 2012 A Motion was made by Mr. Phillips, seconded by Mr. Cole, to give $1,000.00 from Mr. Phillips’ Community Grant Account to the Millsboro Little League for travel expenses. Aug. 12, 2012 A Motion was made by Mr. Cole, seconded by Mr. Phillips, to give $1,000.00 from Mr. Cole’s Community Grant Account to the City of Rehoboth Beach for expenses associated with the Delaware State Marching Band performance. Motion Adopted: 5 Yeas. A Motion was made by Mrs. Deaver, seconded by Mr. Cole, that the Sussex County Council approves the disbursement of Human Service Grants for Fiscal Year 2013, as submitted. Motion Adopted: 4 Yeas, 1 Absent. This from a council that is always talking about its fiscal conservative nature. One has to ask, how much money could the citizens of Sussex County keep in their own pockets, to give to charities and organization, if the council wasn’t so interested in looking like Father Christmas? Well in 2013 it would have been at least $141,400.00 . This is money that is taken out of the county economy, money that could be used by small businesses to create new jobs. And what is up with all of the contributions to Churches? Isn’t their tax exempt status enough, must tax payers be a party to forced charitable giving against their will, and in some cases against their own beliefs? I have to tell you that all of the religious organizations seem to have a Christian-centric nature. I believe that this type of spending is the worst type of big government conservatism, the type that believes that they know best how to spend your money, and on which charities to spend it. I say do away with all discretionary spending and let the people decide how to spend their money, that is true conservatism. 17 Comments on "This Is What’s Wrong With Discretionary Funding"
not being able to count and irony. What’s wrong with discretionary spending is that it’s peanuts. 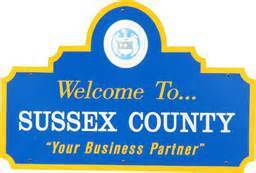 The $141,000 divided over the year 2012 estimated 203,390 residents of Sussex county amounts to 70 cents per person. Don’t sweat your 70 cents. Delacrat, the $141,400 is only one segment of the grants the council hands out in a year, and when I speak of the pockets of the citizens I mean the collective pockets. Why must elected officials hand out money to little league teams and churches? And when they do, like all government spending, they first must tax us. Itcouldbeworse, you are correct, it could be, but is that a reason to turn a blind eye to the problem we have? The county is responsible for ditches and sewers and land use, leave charity at home where it belongs. 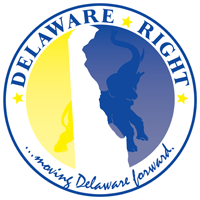 Delaware politicians do two things. 1. Get s state job for themselves or a family member. 2. Handout taxpayer money to make friends and assure re election. There are people who attend “little league teams and churches” and the other organizations listed who also pay taxes that fund organizations that you may one day avail yourself of, but they may not. It’s called the “general welfare” in the Constitution. It may not be perfect, but you should be happy it exists. Thank you Frank for assembling data to help inform conclusions. Delacrat , I am not one who has ever seen the promoting the general welfare clause as an excuse for government to tax the citizens unnecessarily. While you may believe that taxing and spending are the only way to promote the general welfare of the county. state, and nation, others like myself believe that it can be done by government allowing the people to decided how best to spend their money in order for their welfare to be promoted. Your statement about my using some of the organizations that receive these grants is most likely true, however, this does not make it right. If I go to a Little League game and they pass the bucket, I tend to put it more than my “70 cents”, when people go to church they pass the plate and people donate. it is a symptom of our current society and political landscape that these groups have found a way to feed from the public teat, after benefitting from a tax exempt status. These groups come begging from the state or county to receive money from a tax base they did not help create. The elected officials use these discretionary funds to build their own personal goodwill by seeming to be charitable, the funds are too often little more than quasi campaign funds supported by tax payers. The groups benefit by receiving the money, tax free by the way, and the officials benefit from the favorable PR of donating to these groups, but truly the majority of the citizens who have paid these tax dollars benefit very little. If these meager expenditures by your county council are the worst you can come up with, you are well and truly blessed. Delacrat, I am concerned with the practice as much or more than the amount. You see history shows us that government over reach and spending tends to begin small, and if the people allow it, then government tends to grow those practices. So while you may see the amounts as small now, if the practice is allowed to grow, and if new people are elected the amounts could become an even larger problem. Your argument relies on the Slippery Slope Fallacy. It does not necessarily follow that what begins small, grows to extreme hypotheticals. It could just as well grow to a middle ground, stay where it is, or disappear. Delacrat, I am surprised you have time to comment here, it must require a lot of time and attentions buying those bridges. Kudows Frank! I’ve said for years all these grants are nothing more than vote buying. I addressed the council a couple of years ago about this because of their granting money to a church for an Easter egg hunt they were conducting. I told them our church also had an Easter egg hunt for the community kids here in Laurel, but it never crossed our minds to hold out our tin cup to Caesar for a donation and I got sort of blown off for my comments. Agreed, Larry! The true motiviation for these grants is largely self-serving for the council members, whether they realize it or not (and I suspect they do). I’ve watched the minutes of CC meetings regularly for some time, and is extremely rare for any member to question or vote anything but “yea” for a request, regardless of its origin. I realize that it has been done this way for some time, but that doesn’t make it right. Argumentum ad hominem does not prove the Slippery Slope Fallacy. Anyway, It would appear that the only people “buying those bridges” in your mind are your 4 – 1 GOP majority Sussex County Council ! …the Preamble of the US Constitution states, among other things, indicates that one of the reasons for the Constitution, the rulebook for our government, was to promote the general welfare. In Federalist # 41 Madison addressed the concerns of those who felt that the term ‘general welfare’ amounted to Congressional carte blanche, that future Congresses could do whatever they wanted to do, without limit. Of course, Congress and the ‘liberal’ judiciary (those who usurp) have long-ago abandoned Madison, the Founders and the US Constitution- and thus, we have an unlimited, unregulated behemoth of a government that is spending us toward bankruptcy with great rapidity. Discretionary funding needs to go. One of Sam Wilson’s claim over the recent NAACP flap has been he was concerned about money leaving the county, yet look at the list of his past support to national organizations that may or may not have kept all of the money in the county. Scrapping the grant program in favor of private, voluntary funding, as Mr. Knotts suggests, amounts to a popularity contest and Sussex County would stand to lose a lot of its cultural and historical heritage in favor of what is popular at the time. Scrapping the grant system is as bad an idea as keeping the current discretionary system. The current discretionary spending needs to be replaced with a strict, objective, grant submission process that takes arbitrary human judgment out of the equation. A detailed spending sheet should be included with each request that shows exactly how much money stays in Sussex County and should show spending to third party vendors and administrators outside of Sussex County to meet the organization’s objectives. For example, if the symphony wants $500 for “promotion and printing tickets”, how much of that $500 is going to be spent with local promoters and printers, local being locally owned and operated companies in Sussex County (not national chains like Staples or marketing firms headquartered on the Western Shore). That’s our two-cents worth provided free from outside of Sussex County.